Major clients invest in ROE Visual Products. 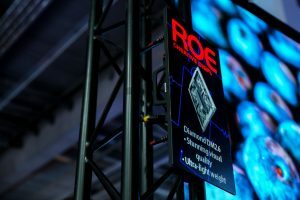 ROE Visual concluded an upbeat Prolight + Sound receiving enthusiast feedback on its showcased products and having major customers confirm their investments in ROE Visual LED panels at the show. 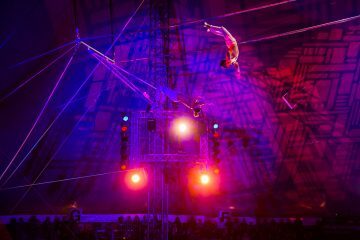 “The Prolight + Sound show in Frankfurt always attracts a mix of new and existing customers. 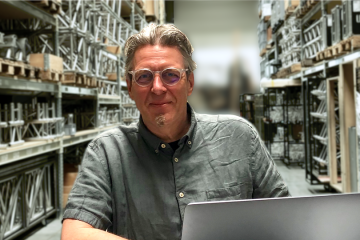 We really enjoy meeting our loyal customer base and to be able to interest new customers for our brand, after all our industry is basically all about the people” comments Roelof Bouwman, General Manager for ROE Visual Europe. ROE Visual presented new and existing products in an inspirational setting at the Prolight + Sound showcasing the almost endless possibilities. Presenting new technologies, ROE Visual had both a sneak peek for its new eV4 processor on the stand as well as an HDR solution, presented in cooperation with Brompton Technology. Both products are expected to launch mid 2019. New staff member Erik Baum, appointed to lead business development in the D A CH region, was warmly welcomed by many visitors, who were acquainted with Erik in his previous job role at VER. “Erik has a wealth of experience and knowledge of the German market, this show proved that it’s really good to have him joining our team”, continues Bouwman. Thierry Heldenbergh, Managing Director for AED Display was delighted to confirm a robust expansion of the AED Display rental fleet with an investment in the Diamond DM2.6 LED panels, thereby further expanding AED’s already impressive stock of ROE Visual LED panels. The demand for LED panels and large display screens continues to increase. ROE Visual is a forward-thinking manufacturer, that makes great effort to develop and design products that closely fit the exacting market demand” states Heldenbergh. 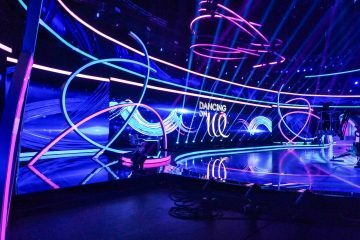 Faber Audiovisuals invested in the Diamond DM2.6 LED panels, continuing to broaden their range of ROE Visual LED products for rental purposes, such as their latest investment in the Black Marble LED floor, which was recently utilized for the Montclair fashion show in Italy. Adlib proudly announced its considerate expansion of their rental fleet, investing in a large batch of the Vanish V8 LED panels. 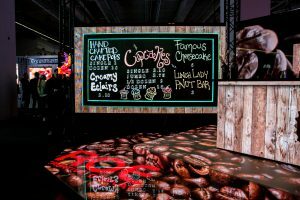 With a substantial investment in this latest innovation and sought-after LED panel Adlib can respond to current market demand. “With more confirmed investments in the Diamond and Vanish LED products, by companies such as Transition Video, 80six and Entertainment Technology Concepts, ROE Visual is content with how these newest products in its LED panel range have been received in the market. With more products to be introduced, ROE Visual foresees a great year”, concludes Bouwman.